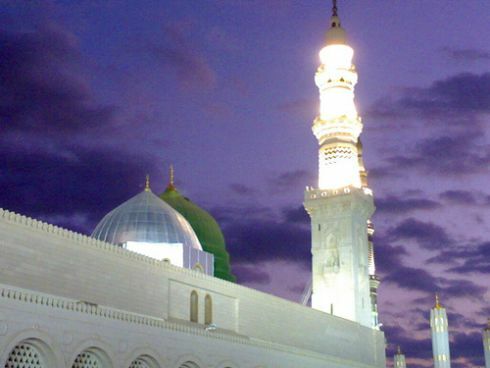 12th of Rabiul awal brings with it great blessings and joy for the Muslims. It is the day when Allah Almighty sent His Most Beloved and the Most Praised Holy Prophet Muhammad (Peace Be Upon Him) to this world to guide the humanity towards ultimate Truth and path of light. The Nur which shined in the home of Hazrat Bib Amna (R.A), soon spread to the whole world. Even after more than 1400 years have passed, this Nur is still shining with full brightness and is source of Hadayat for the Seekers and Believers. There is neither any mind which can truly realize the status of Holy Prophet (peace be upon him) nor any words which can describe his greatness. Only, Allah Almighty knows because He is the One who Created His Most Beloved Muhammad (peace be upon him) and awarded him ‘Maqam e Mahmood’. 1400 years ago, our forefathers were living in darkness. They had completely forgotten about teachings of Allah Almighty and were worshipping idols. They had become inhuman to such an extent that they used to bury their daughters alive. Holy Prophet Muhammad (Peace be upon him) reminded them about Allah Almighty, taught them Holy Quran and guided them through his Sunnah. The dark ages was transformed into one of the most enlightened age and brought forward great personalities like Hazrat Abu Bakar Siddique(R.A), Hazrat Farooq e Azam (R.A), Hazrat Usman Ghani (R.A) and Hazrat Ali ul Murtaza, Sher e Khuda (R.A). The very people became Champions of Human Rights and gave the example of equality and justice which the world has never seen before. Women got their rights in property and got right of witness. Jannah was put under the feet of mothers and promised to those who would take proper care of their daughters. Even minorities got their due rights. The Nur of Muhammad (peace be upon him) will remain shining forever even when the sun would stop shining. Allah Almighty has made him source of help and happiness for all the humanity, from the ‘Beginning’ till after the ‘End’. The Mercy of Allah Almighty and kindness of His Prophet Muhammad (peace be upon him) has no boundaries, for sure. On the eve of Eid e Milad un Nabi believers offer special prayers. Mosques are illuminated and sweets are distributed. Special Mahafil e Naat Khawani are arranged at various places across Pakistan and Fasting is observed by many on the day of 12th Rabiul Awal. People in Pakistan rightly observe Jashn e Eid e Milad un Nabi (peace be upon him) for Pakistan came into existence through special prayers of the Holy Prophet (peace be upon him). Our motherland enjoys special place in his heart. He is always there to help and pray whenever there is need. That’s why I have never seen or read that any Sufi or Spiritual Saint had talked against creation of Pakistan. How could anyone dare to talk against a country which was born due to the prayers of Allah’s Most Beloved Prophet (peace be upon him). But with great love comes great expectations. We, his Ummaties, his spiritual sons, have more responsibility to follow his teachings and commands while celebrating his arrival. We should be following his teachings like not blocking the passages and not using public resources. I believe, no Believer would ever wish to do something forbidden by him. Assalamu Alaikum, i see general ppls start debating on the islamic topics without having complete knowldege of quran, hadith & fikha. This is the work of Ulemas & Muftis to debate on such topics. 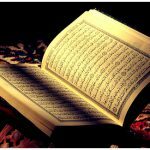 General muslims should only give references of articles, fatwas & books where these scholars have researched on the topic from quran & sunnah and summarized it. Like Muhammad Abdullah quoted complete fatwa of a Mufti. Anyway here is a website link where you can find too many interesting articles, books and speeches by great scholars on the topic whether we should celebrate MILAD or not…. I hope this will be helpful for you brothers..
How many Hadieth of Imam Bukhari (May Allah be please with him) have been viewed by your kind self for other aspects of your life? With some authentic words and proofs. Dear Muhammad Abdullah: I have already given my reply above. If someone doesn’t not want to observe it then its his belief. If some people want to observe it, its their belief. There is no Jabar(force) in religion. The best way is ofcourse Holy Prophet(peace be upon him), his companions(RA)and Tabiyeen and Taba Tabiyeen. Anything which conflicts with their Sunnah is forbidden but anything which is not forbidden by Holy Prophet Muhammad(peace be upon him),or by his Companions (Sahabe e Karam (RA)and do not conflict with principles of Islam, its not forbidden. As such We also follow teachings of Imam Abu Hanifa(RA) and Imam Bukhari(RA). Please let me know if there is any Hadith mentioned by Imam Bukhari(RA) in which celebrating Milad e Nabi(peace be upon him), remembering him, reciting Hamd o Naat is forbidden. Thank you, for sharing the fatwa by Shaikh Sahib. Its his views and we respect it but cannot follow it. Many Mufti Sahiban accross the globe have given different fatwas on various issues and its not mandatory for us to follow all of them. All Praise is due to Allah, we praise Him, seek His aid and His Forgiveness. We seek refuge in Allah from the evils of our souls and the evils of our actions. Whomsoever Allah guides, there is none to misguide and whomsoever Allah misguides there is none to guide. 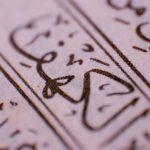 I bear witness that there is none worthy of worship except Allah, alone, without any partners and I bear witness that Muhammad(sal-Allaahu `alayhe wa sallam) is His worshipper and messenger. There are many reasons for not celebrating the birthday of Muhammad (sal-Allaahu `alayhe wa sallam). 1. The day of birth is not authentic. 2. 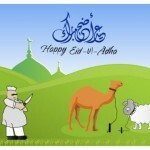 As per my knowledge, neither Muhammad (sal-Allaahu `alayhe wa sallam) nor sahaba (radhi-yallaahu ‘anhum) celebrates it. And we know that the best way is the way of Muhammad(sal-Allaahu `alayhe wa sallam). 3. We have been told not to resemble with Christians and Jews. Christians celebrate the birthday of their prophet (A.S). Tanweer Sultan: Your belief is with you and mine is with me. Besides, like you, i cannot use the word wisaal for the Holy Prophet Muhammad(peace be upon him). My dear friend Dawood , I do respect ur belief , but there is one thing that we should all remember that 12th Rabi-ul- awal has not been proved by any jantari or in history books as the Birth day of Hazrat Muhammad ( Sallalahoo Alai Hay WA Sallam). Most people who have knowledge about jantarees have claimed other dates of the same month , but nobody agrees with the 12th. Yes but 12th was the day of Holy Prophets wisaal, this everybody unanimously agrees upon. So we should see what we are actually celebrating (NaAaoozobillah). Secondly Allah from the time when he sent his first messanger i.e. Hazrat Adam (Alleh Salam) has tried to make people to know HIM, and all the prophet coming thereafter did the same. Islam is not the newest religion on eart , it was the first religion . All the prophets wether Moses(Musa), Jesus(Eesa), Abraham(Ibrahim), Solomon(Sulaiman) ,Jacob(Yaqoob), Joseph(Jacob) and Others (Alleh-e-musalam) preached the same message of Islam that is Tauheed (Oneness of Allah)and Holy Prophet was the last and the best amongst all came with the same. Islam got modified with the needs of the time and ended with Holy Prophet. Im sure u will respect my belief as well .